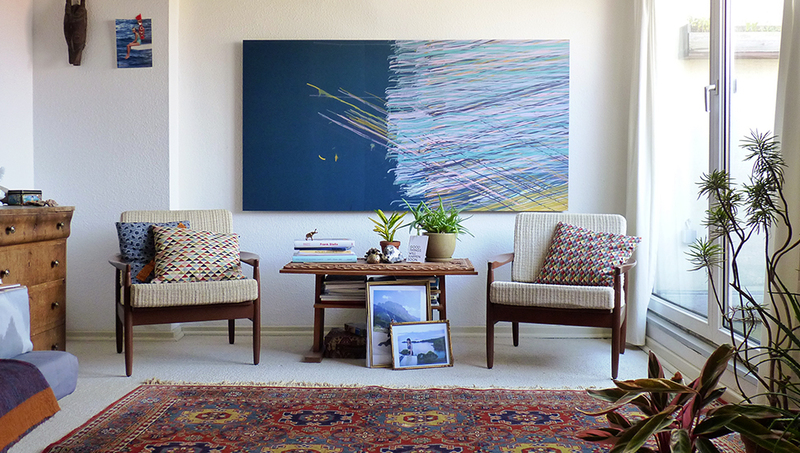 displayed at their collectors or presented on shows. 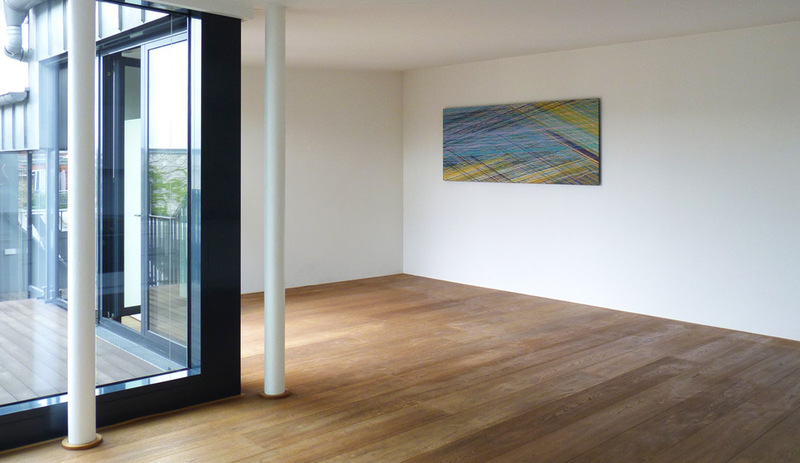 Crosshatching Colorspace, Weil am Rhein 2015, Fragments C3 & C4 in a private home, Berlin. 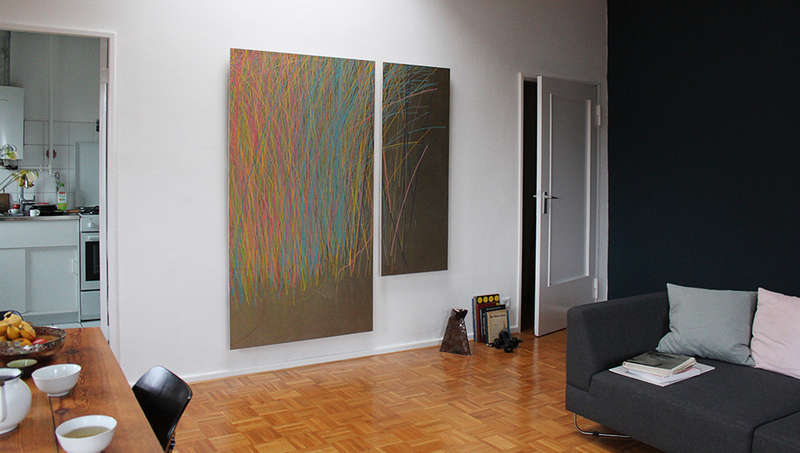 Rising Colorspace, Berlin 2014, Fragments L10 & L11 in a private appartment, Berlin. Sensing Colorspace, Kiel 2016, Fragments C7 and EF12 at their collectors’, Kiel. 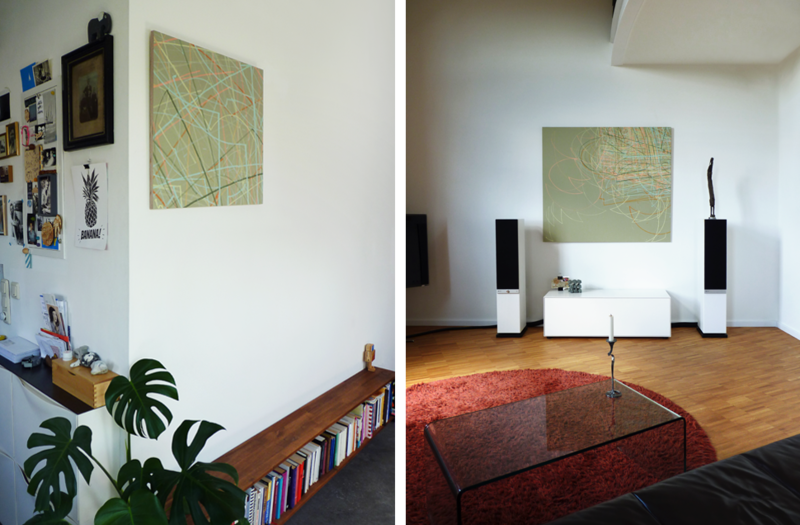 Crosshatching Colorspace, Weil am Rhein 2015, Fragments C1 & C2 in a private appartment, Berlin. Burning Light, Berlin 2017, Self-portrait with Etudes No 42, No 36 and No 39. Building Notion, Berlin 2016, Diptych in an executive’s office, Neumarkt in Franken.